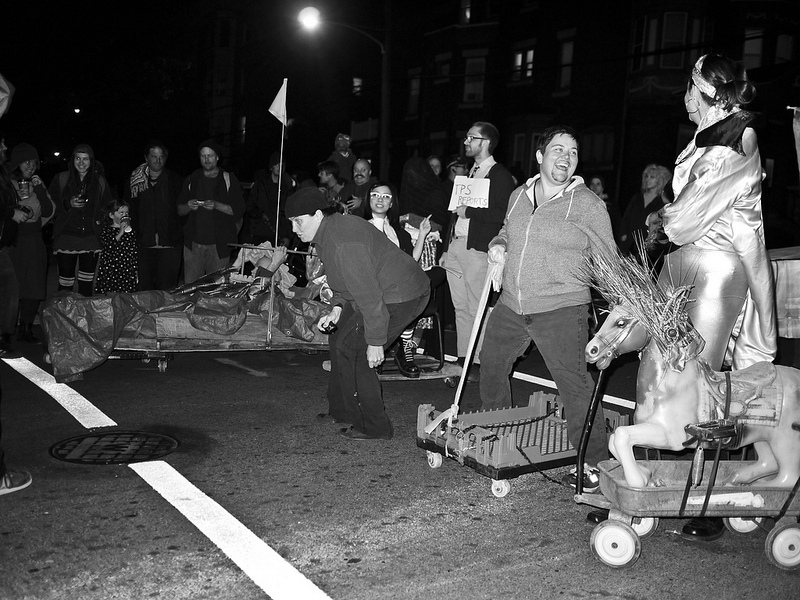 Dozens of West Philly residents gathered Thursday evening at 43rd and Spruce for the Dumpster Derby, a wholly-unorganized – meaning this raucous awesomeness just happens – family-friendly, and refreshingly non-corporate event with Halloween costumes and mobile street furniture. The derby’s only predictable aspects: it happens every Halloween-eve at the same spot, and the police inevitably roll up to disperse the festivities. Here’s to next year, West Philly.